Accidents and injuries never take a holiday or go on summer vacation. But even still, new seasons bring new challenges and potential hazards. 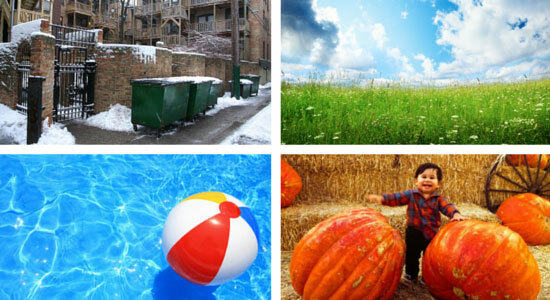 We've put together a comprehensive resource center to guide you through the trials and travails of each specific season. It's important to stay safe and watch out for dangers. At our law firm, we've helped people injured in countless accidents, occurring at any time of year. So if you're ever in need of legal help, we're just a call away at 1-866-943-3427 or reach us on the web by completing the form to the right. No matter the time of year, our legal professionals are standing by to help. It doesn't cost a penny to speak with us, and there's never an obligation to use our law firm when you call. Get your free legal consultation today. Reach us by phone at 1-866-943-3427. We answer 24/7 – even on weekends and holidays. You can contact us online by completing the form at the top right or by clicking our chat box below.